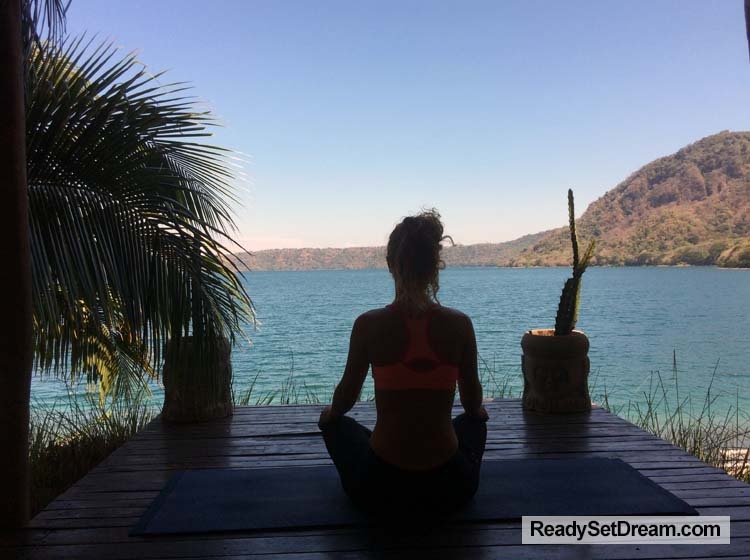 This April she is back in Nicaragua at Playa Gigante with a 7-day (April 2–8) retreat that will focus on health, exercise, and adventure. 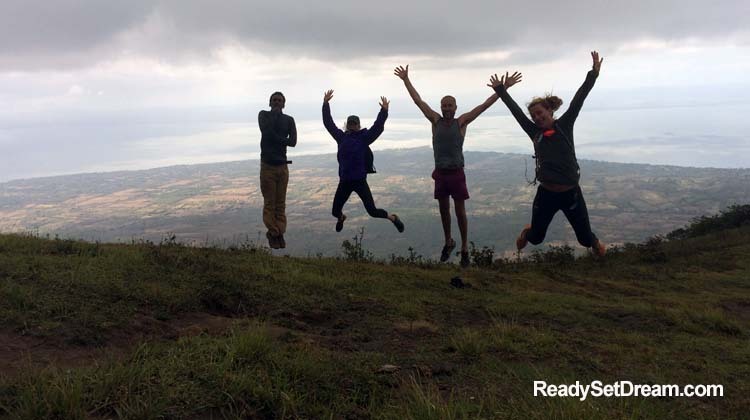 From surfing, to rappelling waterfalls, to hiking some of the most AMAZING volcanoes this trip will knock a few adventures off your bucket list. It may even knock off a few things that you realized should have been on there to begin with. It’s not just about outdoor adventures though – it’s about health, eating, wellness, fitness, and helping you adjust your life to achieve more balance. Nicaragua is one of the most beautiful places on earth. Having personally experienced some of things you will do on this Retreat, I will say that the adventures you will take are well worth it. If the price tag is a concern, you really do get a lot of bang for your buck on this adventure. It is one of the most affordable adventure vacations you can take. Your flight costs a can vary (not included) but I’ve paid more to fly to Los Angeles then I did to Nicaragua. You can get some great flight deals on sites like Kayak for flights to Managua. If you’re already convinced you can book your reservation now (space is limited). If you want more information – read on below for ReadySetDream’s info pack on this retreat (or head to ReadySetDream.com itself). 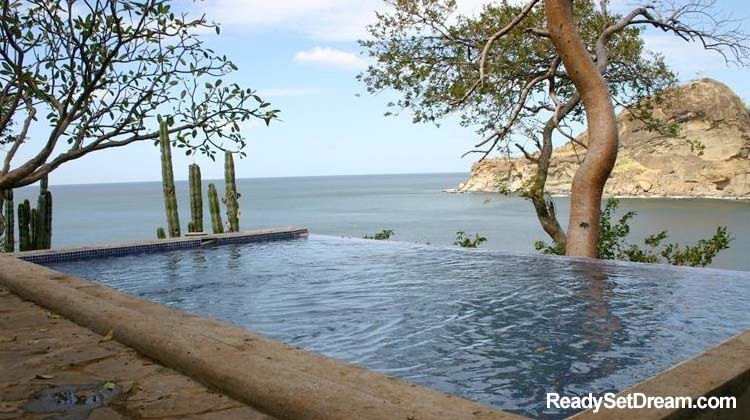 Join us in Playa Gigante for our second yoga adventure retreat Nicaragua. It will be a week of wellness and adventure! Begin each morning with a 30-minute workout and an hour yoga class. Enjoy and discover the benefits of vegetarian, vegan and raw foods. Several excursions are booked for the week to provide you with unique and memorable experiences you will never forget! 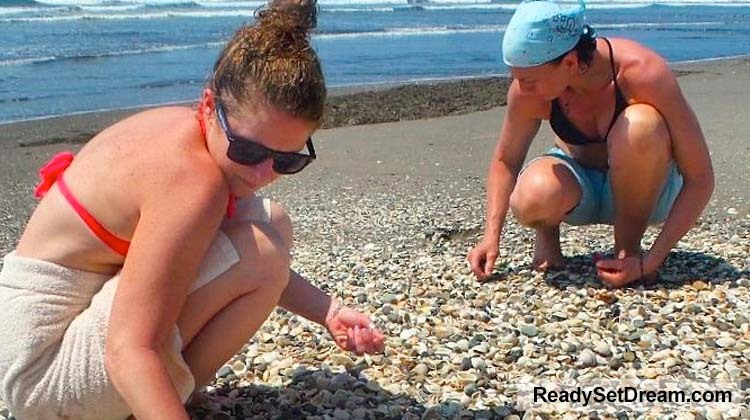 There will also be some scheduled down time for you to relax and play in the ocean or explore the local sites. Day One: Arrival day. 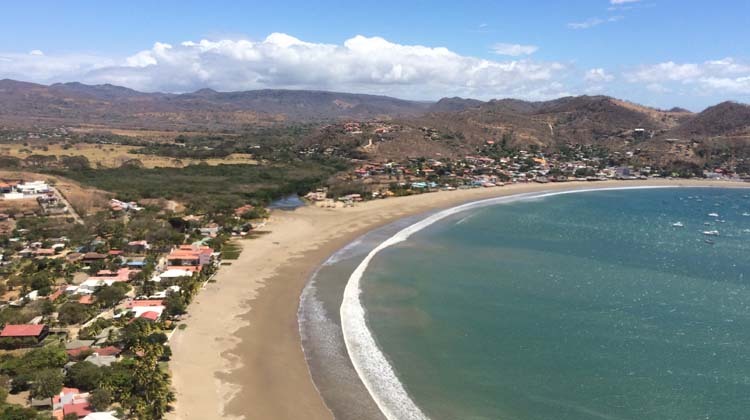 Fly into Managua and enjoy the drive into Playa Gigante. We will arrange your transportation once you book your flight. Get settled into your room, walk down to the beach or enjoy the pool and come to the evening yoga class to help you adapt into the slow and relaxing pace of Nicaragua. End the night with a nice dinner made from local ingredients. Day Two: The morning begins with coffee, tea, fresh coconut water and fruit available before we start the day with our first workout and melt into the morning yoga class. Breakfast will integrate a short workshop on the power of superfoods and learn what this buzz word is all about. After we will head over to San Juan del Sur. We will be getting deep into the forest by rappelling down a 45-meter waterfall, followed by a small hike through the jungle and then climb onto a platform to zipline through the trees along 10 different lines all the way down the mountain, guided and supervised all the time by friendly experienced bilingual staff. After we will head into the ocean side village and have lunch. Enjoy the afternoon touring the village, relaxing on the beach and getting acquainted with the culture. We will have dinner at a beach front restaurant to enjoy the sunset before we head “home”. Day Three: The morning begins basically the same each day but today we will be heading out to go surfing after!! 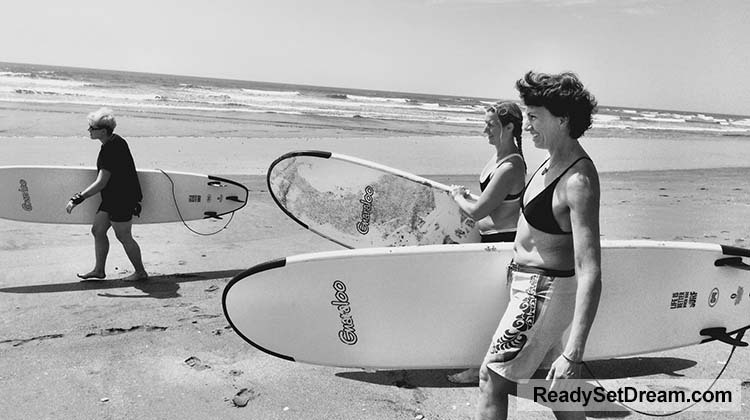 This time we will be heading to the village closest to us at Playa Gigante and go surfing at either Playa Amarillo or Playa Colorado depending on the conditions. If you aren’t into surfing you can just enjoy the beach and search the sea shells and sand dollars along the shore. We will have lunch in the village with time to explore or relax on the beach and head back home for dinner. Tonight we will do a “bucket list” workshop on not only creating your bucket list but also making a plan to accomplish everything. Day Four: Today will be a long and beautiful day. We will be heading out early to the island of Ometepe. 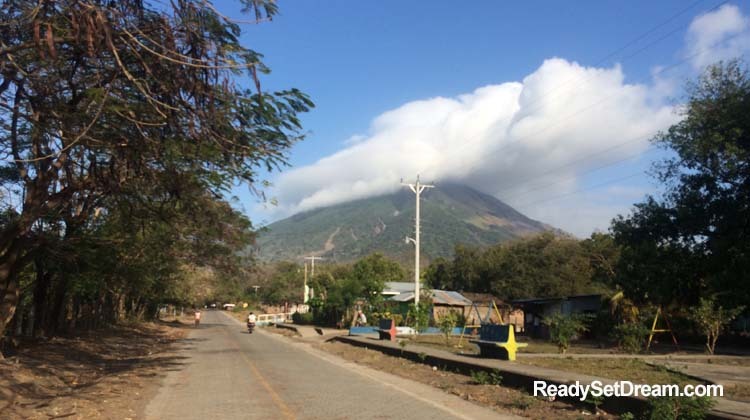 Ometepe is an island formed by two volcanoes in Lake Nicaragua. We will be taking the ferry over to explore the volcanic island and spend the day hiking. We will have packed lunches for you to bring and will enjoy dinner at a restaurant on the island before heading home. 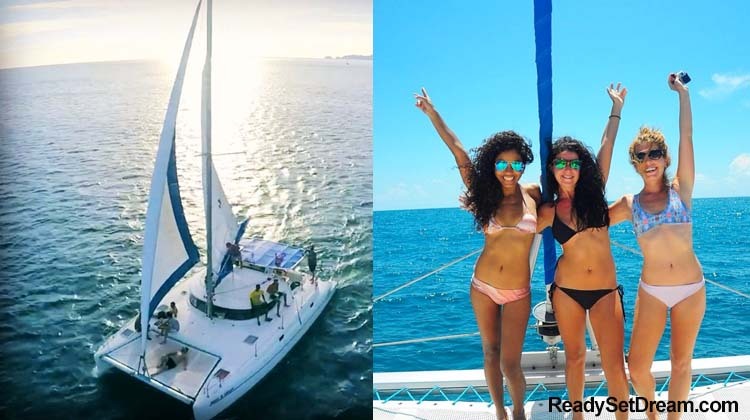 Day Five: Enjoy a catamaran tour and go snorkeling. We leave the bay at 11:00 and head south toward Playa Hermosa, which is where the popular TV show Survivor has filmed 3 seasons. It’s about a two hour sail depending on the conditions. We’ll have fishing lines out along the way, drinks will freely flow, and usually we’ll see a few types of marine wildlife from whales to turtles. Once we drop anchor, the crew will begin preparing a full meal created from a seasonal selection of fresh produce, and usually either chicken or fresh fish as the main course. We will be back in San Juan just in time to watch the sunset. Day Six: Time to completely relax! Enjoy the day as you please to really soak up some sun, play in the warm water, read a book, and schedule a massage or private yoga or life coaching session. You can also take a trip into Granada or the Mombacho Volcano today but these options are not included and would have to be arranged privately. Day Seven: Departure day. Finish off with a final yoga class and spend the day as you please! Many people like to stay a little longer so let us know in advance if you would like help exploring more of Nicaragua.